Lately it seems that I am buying so many gifts for baby showers and new baby arrivals which I love shopping for! Baby Box is a gorgeous brand for new mums, new babies and little ones, especially designed to make mothers feel extra special and loved. Housing luxury clothing, toys, accessories, baby shower and Christening gifts. Not only does the clothing line for babies keep little ones warm and comfortable with luxurious fabrics but stylish too. The range for new mums and mums to be are made with love, from pampering bath soaks, creams and oils to scented candles and cosy throws. With Baby Box London you will be spoilt for choice with so many baby gift ideas, here is a hand-selected pick of my favourite gifts. I know, how cute!! 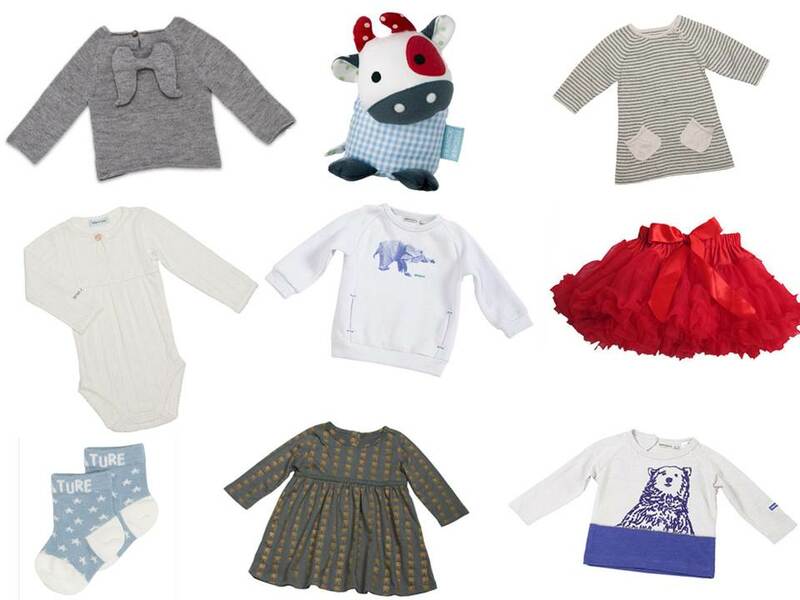 This is just a small selection of the adorable pieces, there are so many more beautiful trendy London pieces for babies. My favourite piece has to be the Angel Wool Sweater with hand crochet angel wings on the back, perfect for a christening or to dress your little one as a trendy Christmas angel. Grey is a great neutral colour too and always a great basic for a tiny wardrobe. All babies need a cuddly toy to snuggle up to, meet Nico the Cow. A patchwork cow made from vintage inspired prints and monochrome effect to stimulate the baby. The trick is to get the baby’s mummy to give the soft toy a few cuddles so baby feels safe and recognises mummy’s scent when sleeping with the new cuddly toy. This soft knitted dress is perfect for winter, stripes are a timeless trend on babies. This cosy piece has the added benefit of button fastenings on the shoulder for easy and quick dressing. every girl needs a tutu! This classic pleated bodysuit is just so precious, made to compliment any outfit for a baby girl whilst keeping her warm. Baby boys need to be kept warm too and this retro print sweatshirt will do the trick as well as looking stylish as ever! I’ve said it before and I’ll say it again, every girl needs a tutu! It’s always better (and cuter) to start off young, I love this tutu as it has a huge amount of puffiness and red is perfect for that pop of colour in Winter. Little socks can go missing but with these adorable star socks even they will want to hold on tight! I love this jersey dress adorned with golden elephants, it is easy to wear, easy to wash and just an easy wardrobe staple. Finally, as it’s winter and we’re going down the animal route already I chose this cute polar bear t-shirt. An easy layering piece for little boys who want big cuddles! If you’re in a hurry and left picking your gifts to the last minute, try the ready made up baby and mummy boxes. If you like the pieces you have seen, please comment below or let us know what pieces you would choose for your baby box.